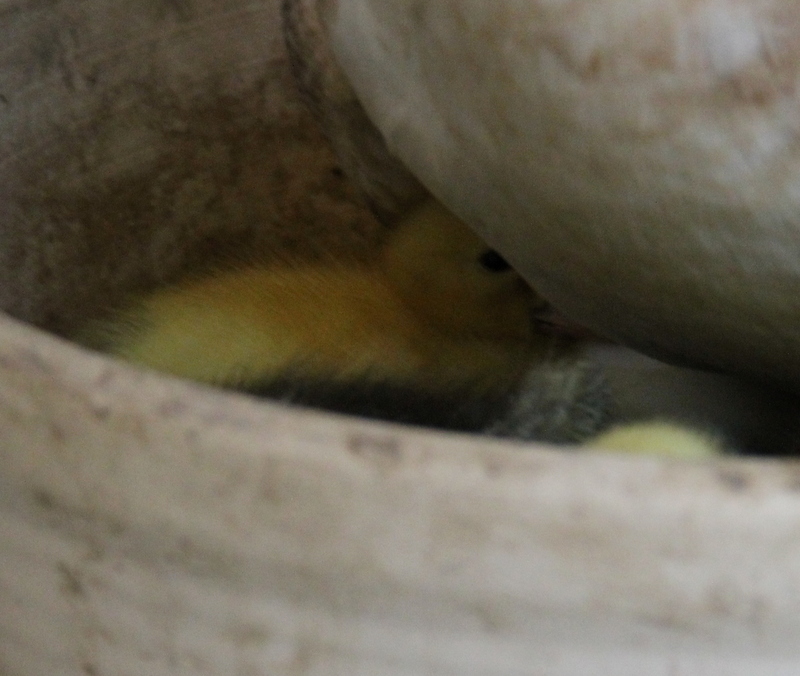 Date: June 27, 2013 Author: Adventures with Rachel	Category: Animals, The Great Outdoors, Wildlife	Tags: baby animals, baby ducks, cute baby animal pictures, cute baby animals, ducklings, ducks, fluffy, photography, so fluffy I want to die! Remember back in May when I said this important business happened? 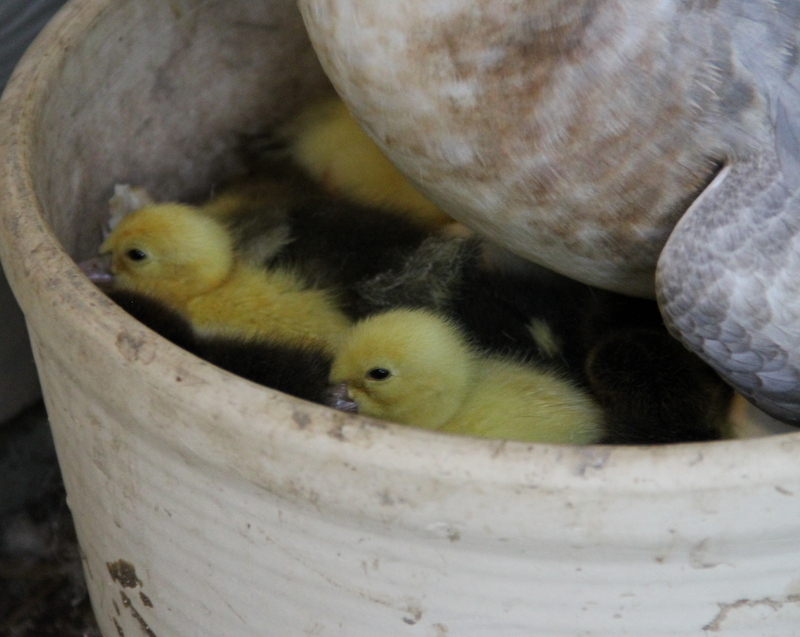 Well, that important business has finally paid off and now there are ducklings on my porch! SO EXCITING AND CUTE AND FLUFFY I JUST WANNA DIE!!!! Okay. Back to normalcy instead of squealing. I took a few pictures but mama duck isn’t too happy with me or my camera and I didn’t want to stress her out too much, so the photo session was short and sweet. 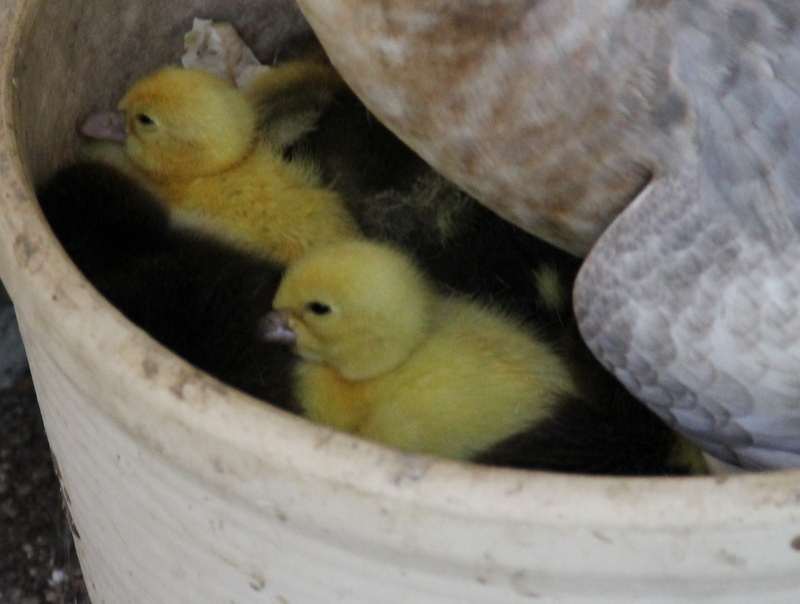 The duckys are in all different colors – black and grey and yellow. So sleepy and cute! 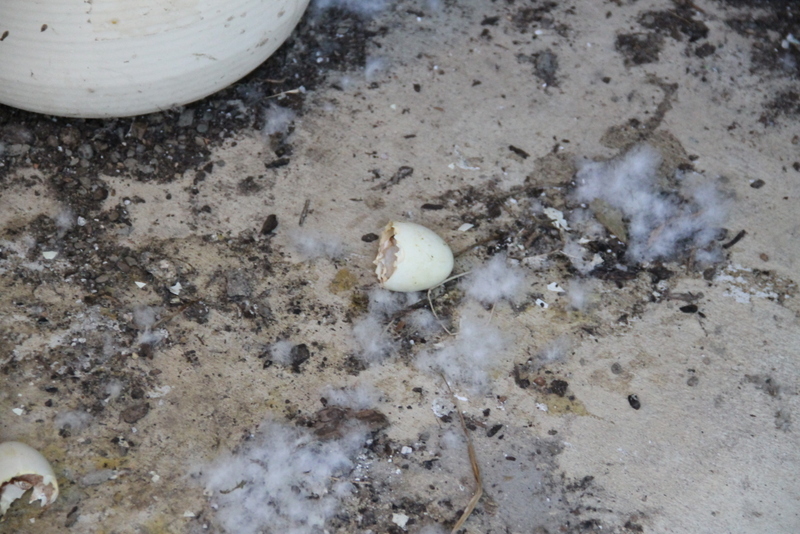 The evidence of their hatching. Also, this duck has left my porch a mess. All in the name of cuteness, I suppose. 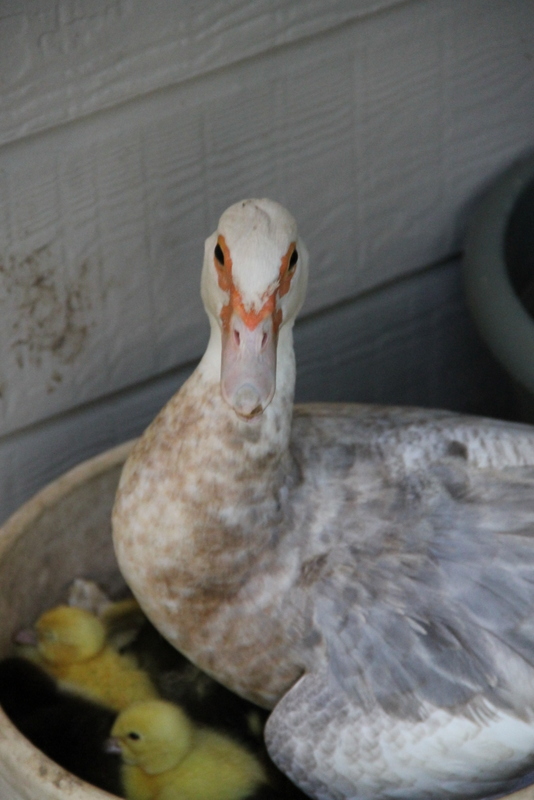 This is the look mama duck gave me that made me think perhaps I wasn’t a welcome guest. More adorable duckling-ness! So cute! I’m going to try to keep on taking pictures but if the mother gets too stressed out, I won’t. Once they’re up and about I’ll be able to get tons of cute pictures of them in the pond and grass; I don’t know how long that’ll take but it should be soon. Oh! 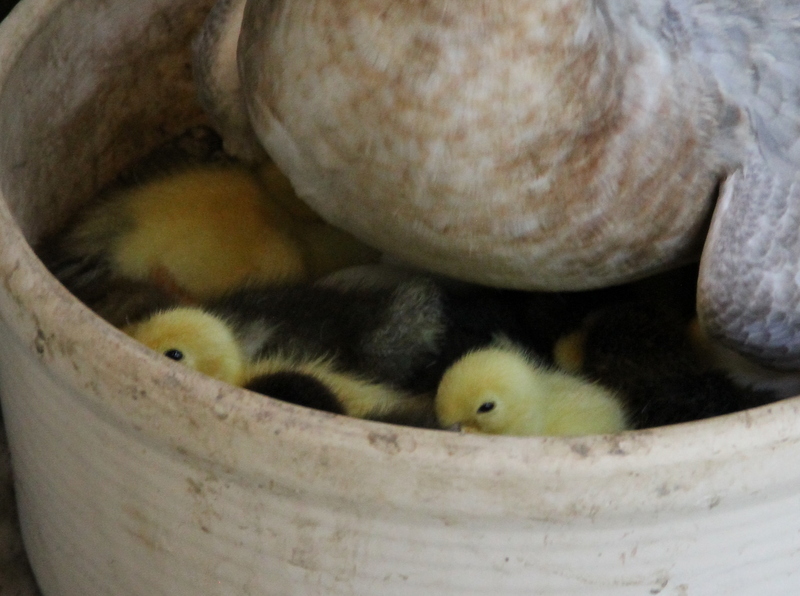 If you have any ideas in which to reduce mama’s stress level or help keep the ducklings alive – besides leaving them alone, which is my main plan – please drop a line in the comments.